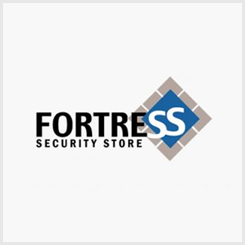 With the Fortress Safeguard Stand-Alone Alarm, you can easily protect entryways, points of access or anything that opens and shuts. The Safeguard is a magnetic contact sensor that activates the alarm or doorbell chime when the contact or any additional Fortress Security Accessories (sold separately) are triggered. Up to 20 additional accessories can be added, or it can be used independently as a standalone alarm siren. Choose between two distinct modes - Siren and Doorbell.